The Thermite and the Scrambler are great Kershaw models...great prices, great designs, and great quality. The addition of blackwash to the blade finish give these patterns a really cool profile, almost a menacing look. However you describe it, you're gonna like carrying it, and using it, for a long time! 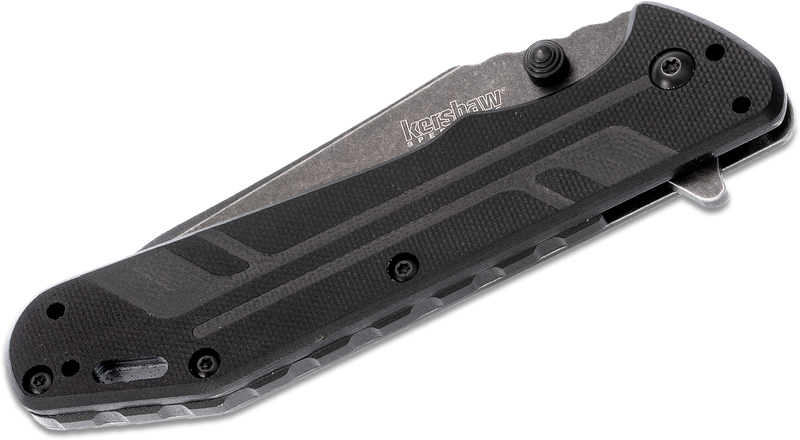 The Kershaw Thermite, designed by Rick Hinderer, was introduced last year and has been in-demand ever since. Now we’re giving it a new look with our BlackWash finish. BlackWash gives a knife that already-broken-in look—like a favorite well-worn pair of jeans. The coating provides an extra measure of protection for the metal, and the BlackWash helps hide any additional scratches you may put on the knife during normal use. What doesn’t change is the Thermite’s tactical styling and practical performance. 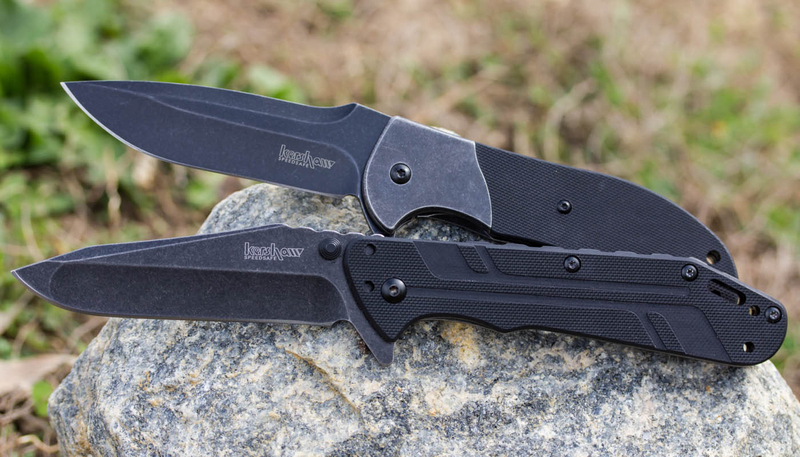 Rick Hinderer and Kershaw designed it to give users Rick Hinderer's no-nonsense functionality—but with enough style to be an exceptionally eye-catching knife. BlackWash just makes it more so. The 3.5-in. blade is hollow-ground, providing excellent slicing ability. A flat-ground “spanto” tip offers strong piercing and even prying capabilities. A machined G-10 front scale and a heavily textured backspacer add to the Thermite's striking looks. On the practical side, the back handle is stainless steel with a frame lock and lockbar stabilizer for an always-secure lockup. For easy opening, the Thermite is equipped with SpeedSafe, which can be accessed with the ambidextrous flipper or thumbstud. 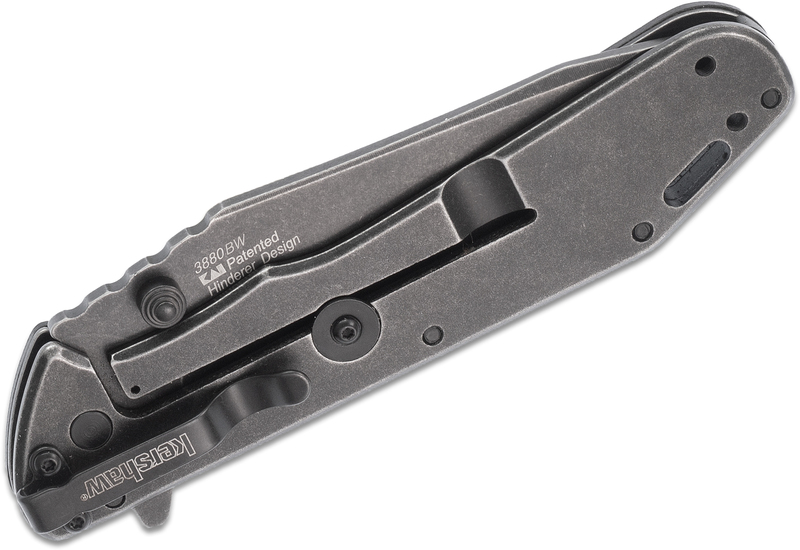 Kershaw’s four-position deep-carry pocketclip offers complete carrying versatility. 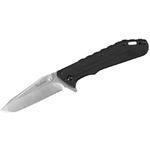 Hey, I wanted to share "Kershaw 3880BW Thermite Assisted Flipper Knife 3.5 inch Blackwash Plain Blade, G10 and Steel Handles" with you from KnifeCenter.